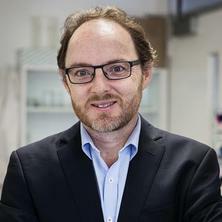 Jason Stokes is Professor and Director of Research in the UQ School of Chemical Engineering. His formal qualifications include a Bachelor of Engineering (Chemical) and PhD from The University of Melbourne, Australia. He spent 10 years (1999 – 2008) as a research scientist at Unilever’s corporate research laboratory in the United Kingdom, and joined The University of Queensland in October 2008. Jason's core interest at UQ is in the multi-scale deformation (from rheology to tribology) of soft matter systems and multiphase fluids, which is applied to diverse areas such as food oral processing and sensory science, food structure design and engineering, plant cell wall micromechanics, and high pressure high temperature (HPHT) fluids for enhanced geothermal systems. Jason Stokes’ PhD concerned the complex flow behavior of viscoelastic fluids, supervised by Prof David V Boger FRS at The University of Melbourne and in collaboration with the CSIRO fluid mechanics laboratory. He joined Unilever in 1999 and developed expertise on a range of soft matter systems including food colloids, emulsions, biopolymers, hydrogels, microgels, foams, and surfactants, as well as consumer products such as skin creams, ice cream, beverages, dressings and mayonnaise. In his industrial research he sought to develop insights into the relationship between microstructure, processing and rheology. He was also instrumental in developing and applying new measurement techniques in thin film rheology and tribology to obtain advanced insights into the functionality and sensory perception of product components during food oral processing and “in use” application of personal care products. He has patents on point of sale processing of skin creams and super-stable foams. Jason Stokes’ Food & Soft Matter Engineering group is funded by grants from the Australian Research Council (Discovery Projects, Linkage Project, Industrial Transformation Training Centre) and in partnership with several major international food companies. His research is providing enabling technologies and approaches to design healthier consumer acceptable food products, principally through the use of rheology, tribology and surface-science that are uncovering the physical basis of food and beverage organoleptic properties. The team also investigates food structure design to meet the demands of the industry to make more efficient use of ingredients and enhance consumer benefits. The research includes concern for consumers with swallowing dysfunction (dysphagia). Jason Stokes is investigating the flow behaviour of structured fluids under extreme pressure and temperatures for clean energy and deep earth resources as part of the Queensland Geothermal Energy Centre of Excellence (QGECE). The inability of existing fluids to perform under extreme HPHT limits the extraction of deep underground energy resources; his team’s research is seeking to overcome this limitation and establish leadership in HPHT rheology. As part of the Rheology, Tribology and Biointerfaces Laboratory, his research team also investigate the fundamental studies into the rheological, thin film rheology, tribology, biotribology and interfacial properties of microgels and hydrogel microparticles and nanoparticles, biopolymers, emulsions and saliva. A particular interest is uncovering how mechanical properties at the nano and microscale influence macroscale rheology and lubrication. Project in the area of Food and Soft Matter Engineering are available with specific details to be discussed with prospective students. The research group has many associations with industry and projects needs to be designed specifically. Our industry partners are international and national companies spaning foods, personal care, and pharmaceuticals. The project aims to develop new principles of viscoelastic lubrication in soft contacts. New insights into friction behaviour arising from complex fluid-substrate interactions are expected to be generated using techniques and interdisciplinary approaches that bridge rheology, tribology and surface science. Outcomes from the research should provide significant benefits to diverse fields including advanced materials and complex fluids, engineering tribology, biolubrication and food structure design. This project is part of a prestigious Australian Research Council Discovery Project. Projects seek to relate physical measurements such as rheology and tribology to the flow and deformation of foods during consumption that affects sensory perception and consumer preferences. We are particularly interested in connecting chemical engineering, physiology, and food sensory science. These studies are used to assist industry to rationally design processed foods and beverages with consideration for formulating consumer acceptable healthy & nutritious foods and sustainable process engineering. Kravchuk, Olena, Torley, Peter and Stokes, Jason R. (2012). Food texture is only partly rheology. In Bhesh Bhandari and Yrjo H Roos (Ed. ), Food materials science and engineering (pp. 349-368) Chichester, West Sussex, United Kingdom: Wiley-Blackwell. Crushed tablets: does the administration of food vehicles and thickened fluids to aid medication swallowing alter drug release? Myant, C, Fowell, M, Spikes, HA and Stokes, JR (2010) An investigation of lubricant film thickness in sliding compliant contacts. Tribology and Lubrication Technology, 66 10: 46-60. The influence of beverages on the stimulation and viscoelasticity of saliva: Relationship to mouthfeel? Stokes, Jason R. and Davies, Georgina A. (2007) Viscoelasticity of human whole saliva collected after acid and mechanical stimulation. Biorheology, 44 3: 141-160. Myant, C., Fowell, M., Stokes, J. and Spikes, H. (2009). Film thickness study for soft contacts using an optical interferometric technique. In: Proceedings of the World Tribology Congress 2009. World Tribology Congress 2009, Kyoto, Japan, (). 6 - 11 September 2009. Stokes, J. (2009). From Rheology to Tribology. In: Chemeca 2009: Engineering our future, proceedings. CHEMECA 2009, Perth, (1-10). 27-30 September. Bongaerts, Jeroen H. H., Rossetti, Damiano, Yakubov, Gleb E., Macakova, Lubica and Stokes, Jason R. (2008). COLL 344-Lubrication of the oral interface by saliva. In: Abstracts of Papers of the American Chemical Society. 235th American-Chemical-Society National Meeting, New Orleans La, (). Apr 06-10, 2008. De Vicente, Juan, Stokes, Jason and Spikes, Hugh (2006). Soft-EHL - The tribology of tyres and tongues. In: 15th International Colloquium Tribology - Automotive and Industrial Lubrication, , , (). January 17, 2006-January 19, 2006. De Vicente, J., Spikes, H. A. and Stokes, J. R. (2005). Soft EHL lubrication of complex multiphase fluids. In: Proceedings of the World Tribology Congress III - WTC 2005. 2005 World Tribology Congress III, , , (). September 12, 2005-September 16, 2005. De Vicente, J., Spikes, H. A. and Stokes, J. R. (2005). Soft EHL lubrication of complex multiphase fluids. In: Proceedings of the World Tribology Congress III - 2005. 2005 World Tribology Congress III, , , (589-590). September 12, 2005-September 16, 2005. Stokes, J. R., Graham, L. J. W. and Boger, D. V. (1996). Vortex breakdown in confined swirling flow of a dilute flexible polymer solution. In: Proceedings of the XIIth International Congress on Rheology. XIIth International Congress on Rheology, Quebec City, Canada, (359-360). 18-23 August, 1996. JR Stokes, PA Houston and JHH Bongaerts (2008). Aeratable product such as ice cream, whipped cream, mousse, topping and aerated cake filling, and for pharmaceutical product, and home and personal care product such as soap, comprises water, liquid oil, salt, and sucrose ester. WO2008110502-A1. Stokes, J. R., Belmar, M. T., Pham, Q, Telford, J. H. and Zhu, S. (2006). Preparation of personal care composition, e.g. skin cream, by providing base composition comprising water and non-ionic surfactant mixture, cooling and diluting base composition, and adding sensory ingredients and/or functional ingredients. WO2006027213-A1. Stokes, J. R., Belmar, M. T., Telford, J. H. and Zhu, S. (2004). Preparation of personal care composition, e.g. cream, involves cooling aqueous concentrate composition of neutralizing base and surfactant, followed by dilution and setting the sensory perception and functionality. .
To determine the physical basis for mouth-feel attributes from sugars. A systematic approach to understanding wine texture and mouthfeel.